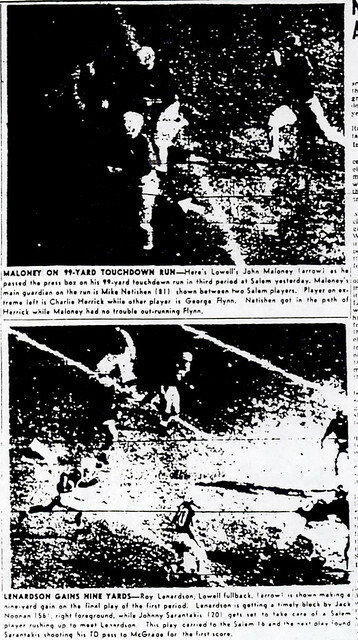 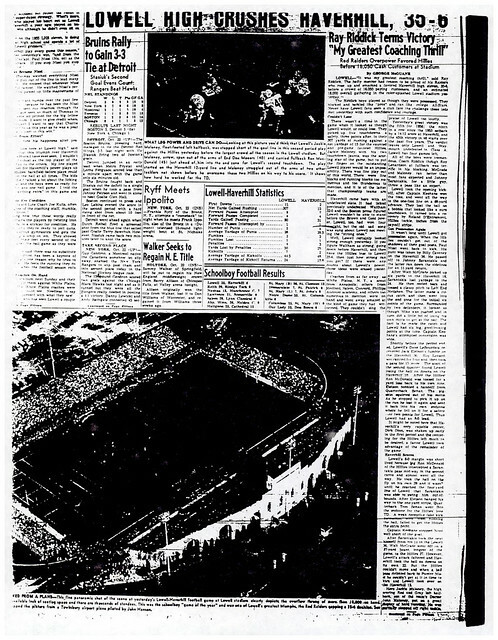 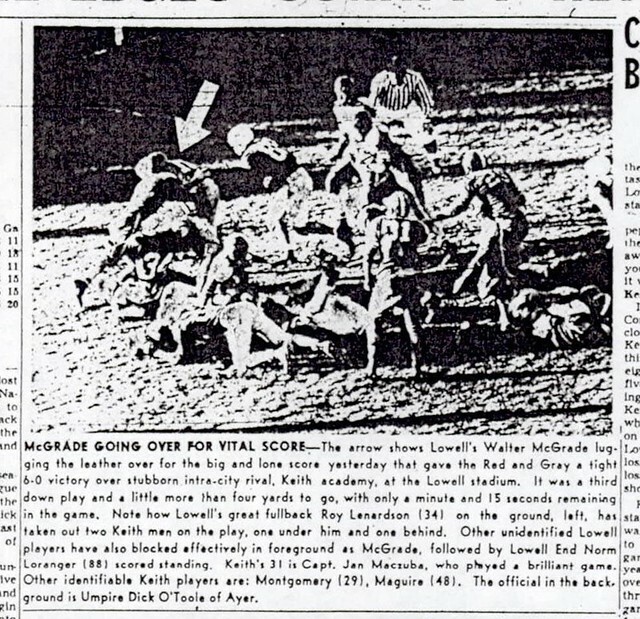 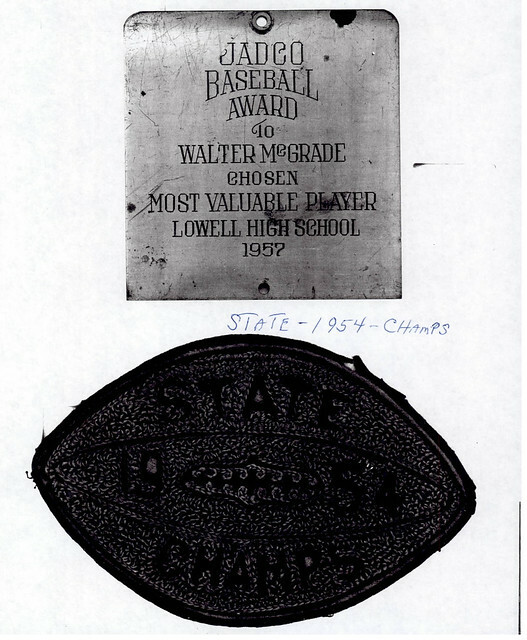 A standout on both the gridiron and the diamond, Walter “Herky” McGrade was an important cog on both the football powerhouses of Coach Ray Riddick and the baseball teams of Coach Stan Stoklosa. 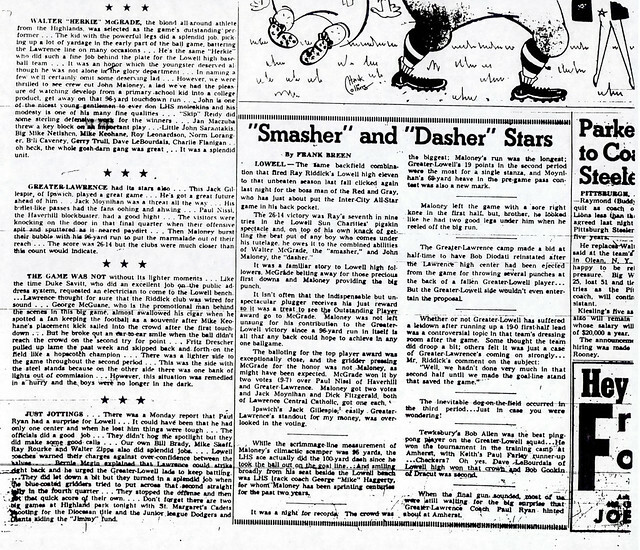 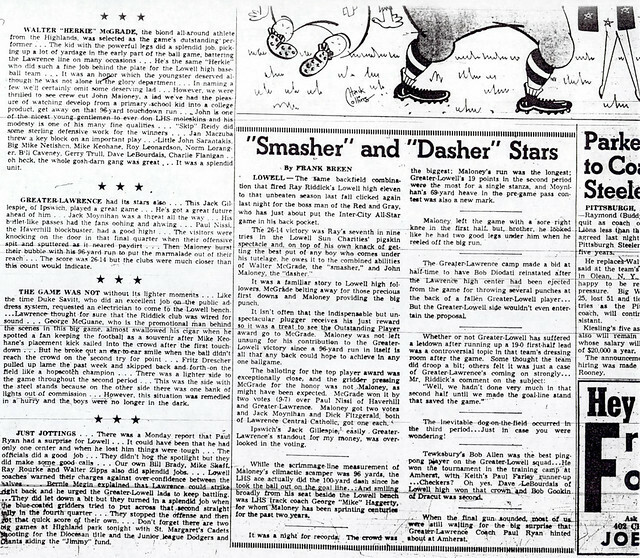 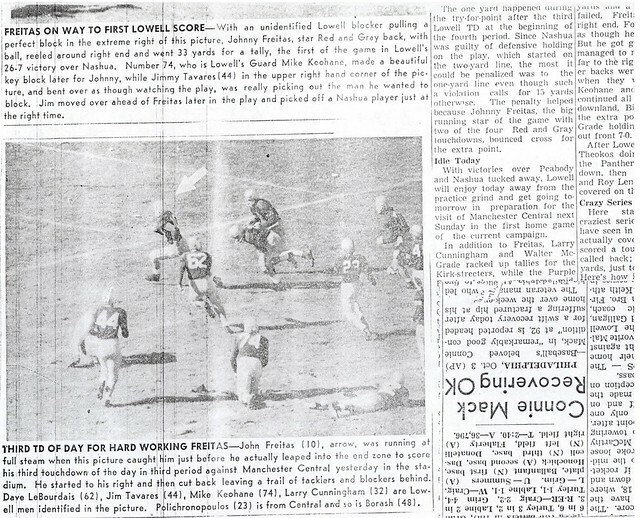 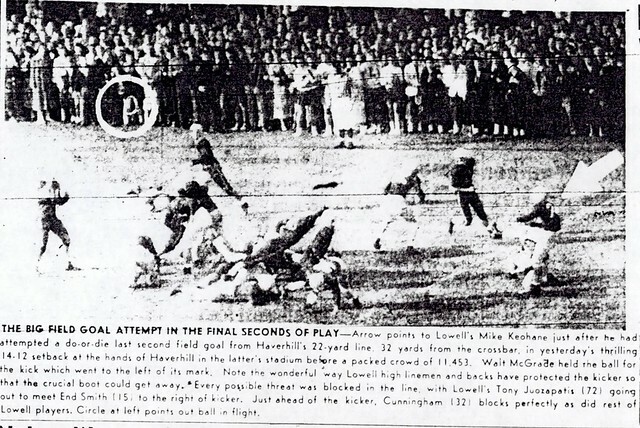 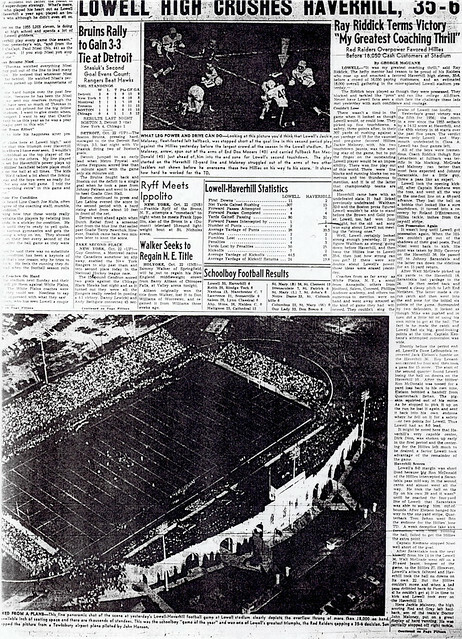 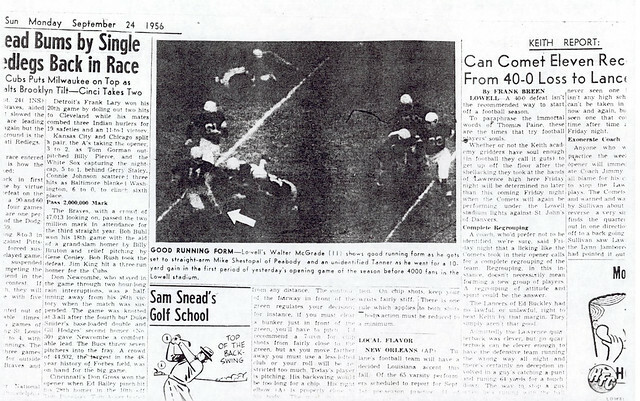 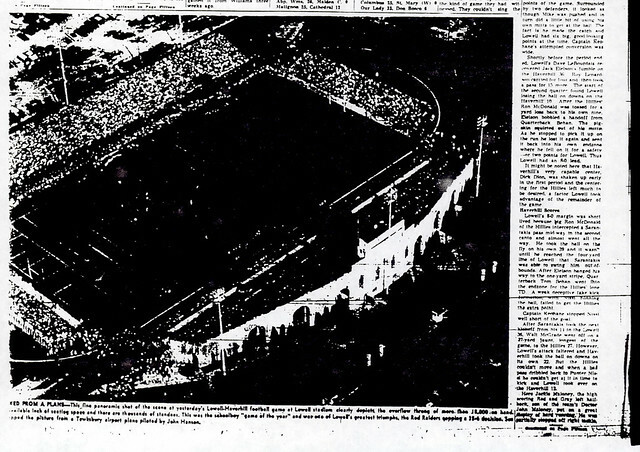 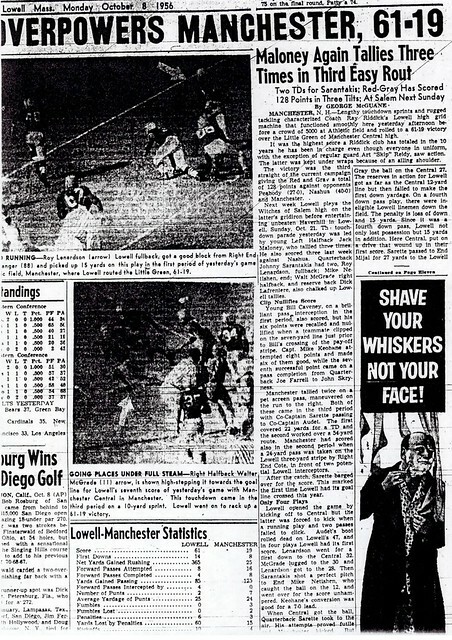 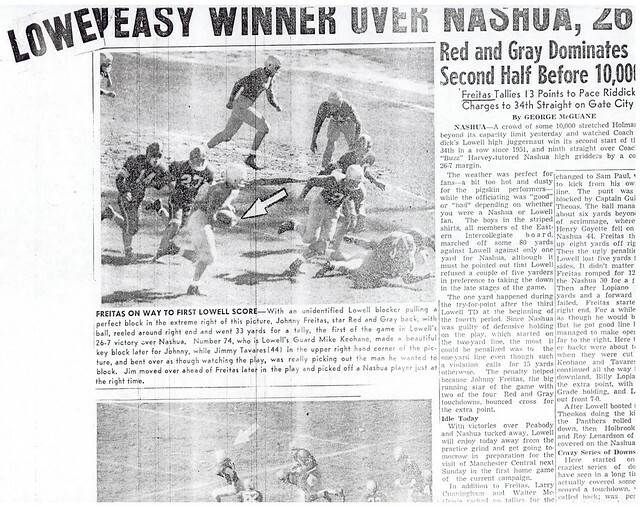 On the gridiron, Herky played during one of the Red and Gray’s most successful stretches, as the Raiders compiled a 26–1 record during his three years on the team (1954–1956). 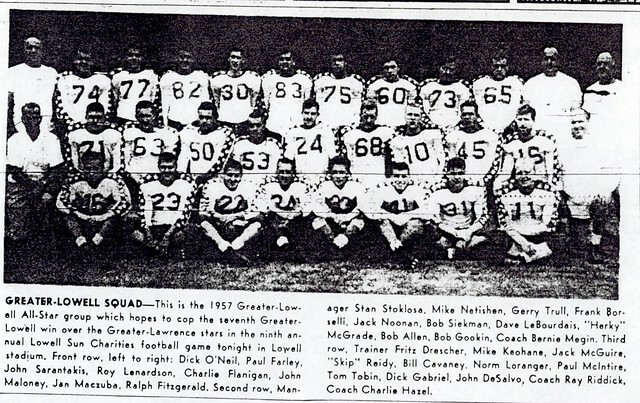 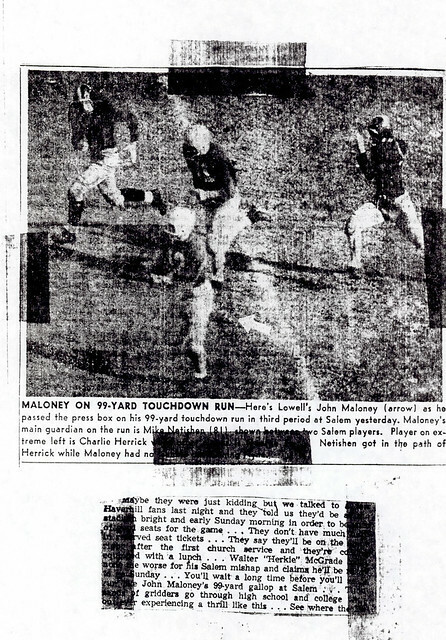 A two-year starter, Herky was a member of the Mass Class A State Championship Team in 1954 as well as an undefeated eleven in 1956. 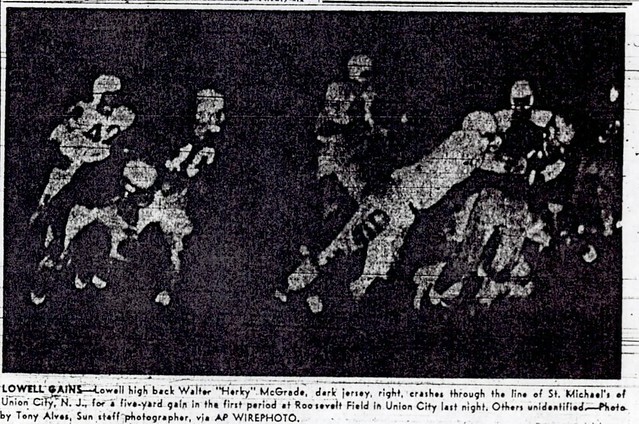 Considered one of Coach Riddick’s better blocking backs, Herky also scored in each game during his senior season. 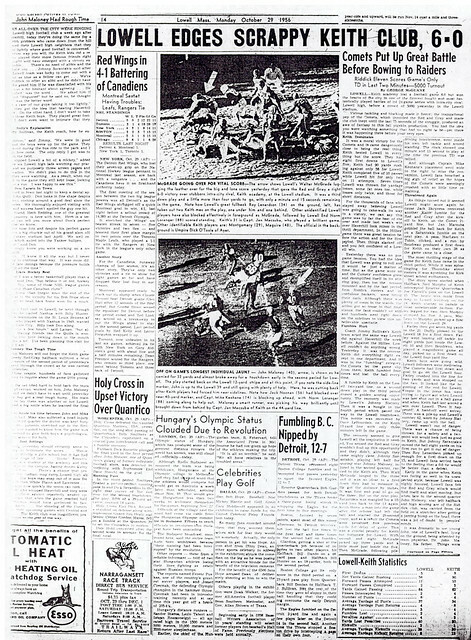 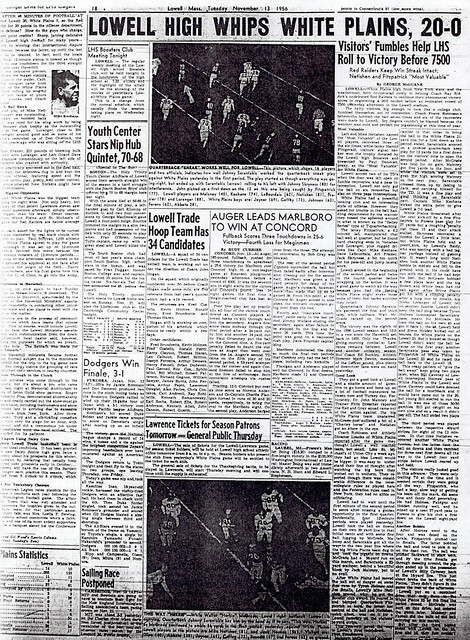 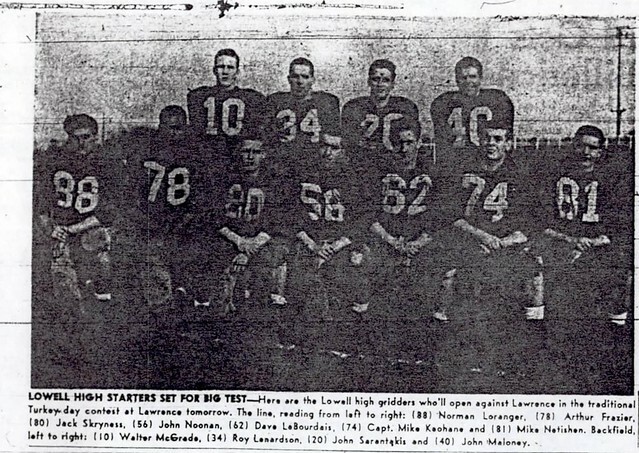 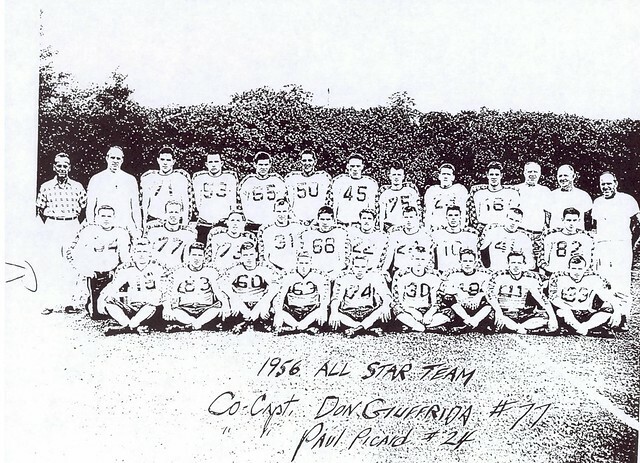 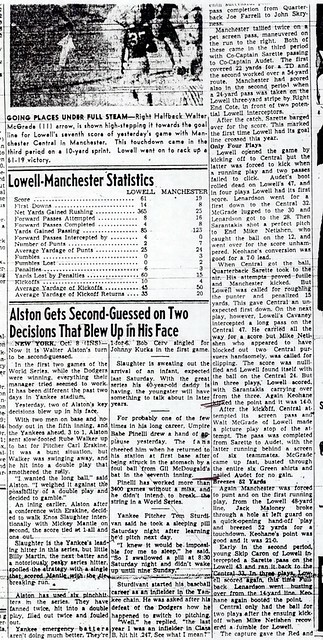 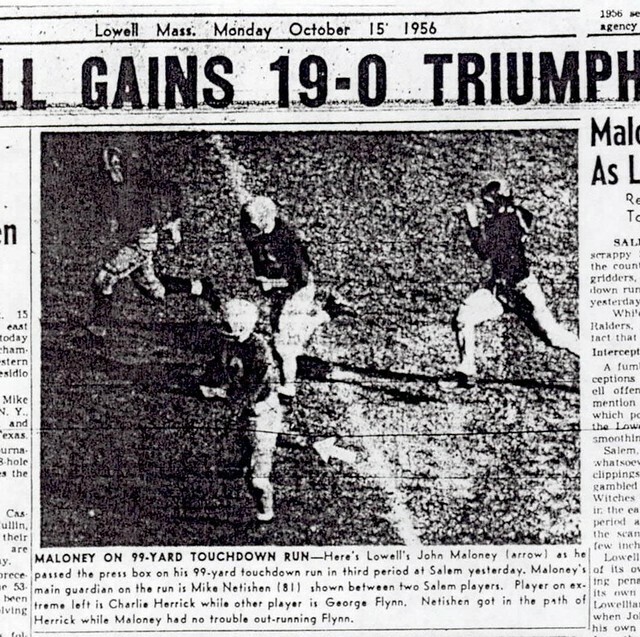 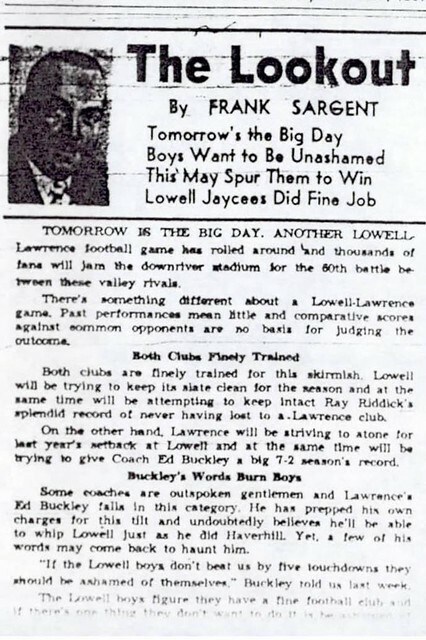 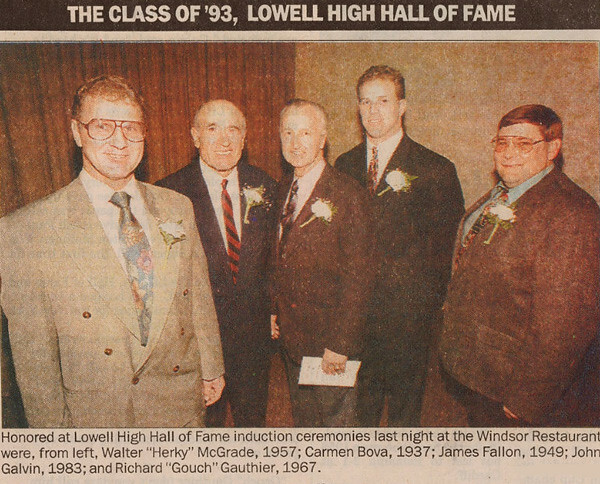 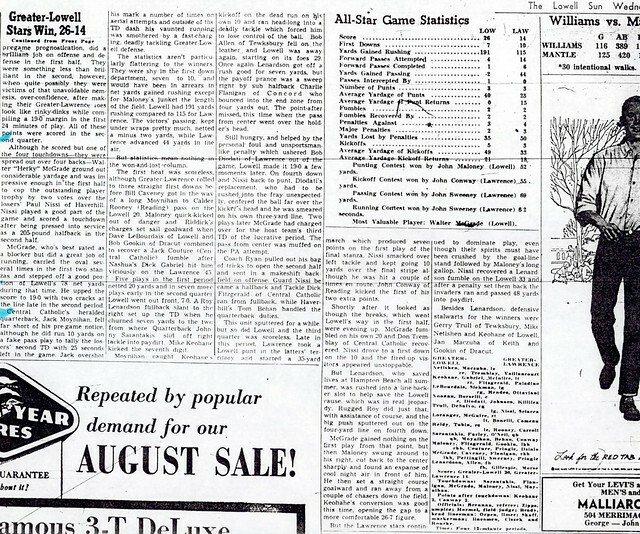 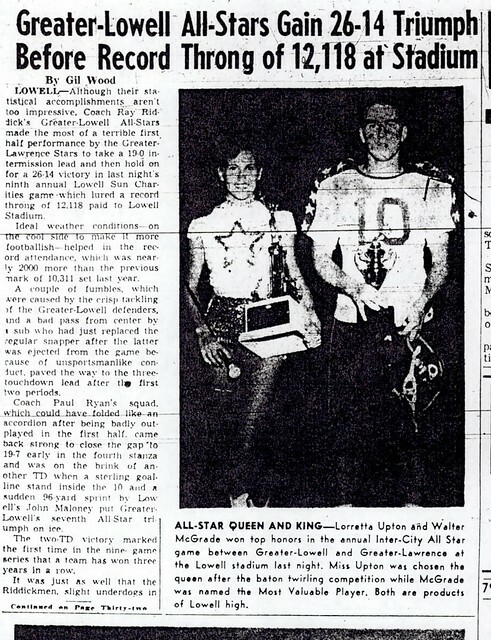 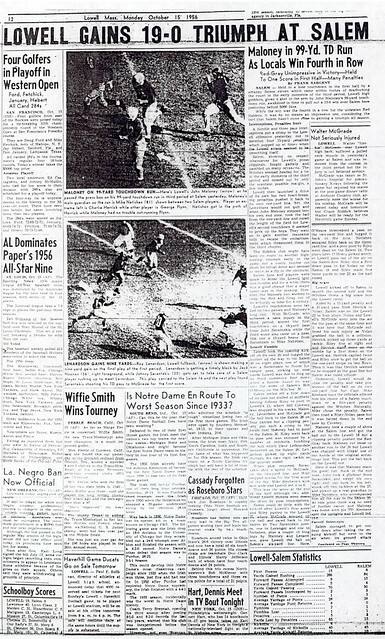 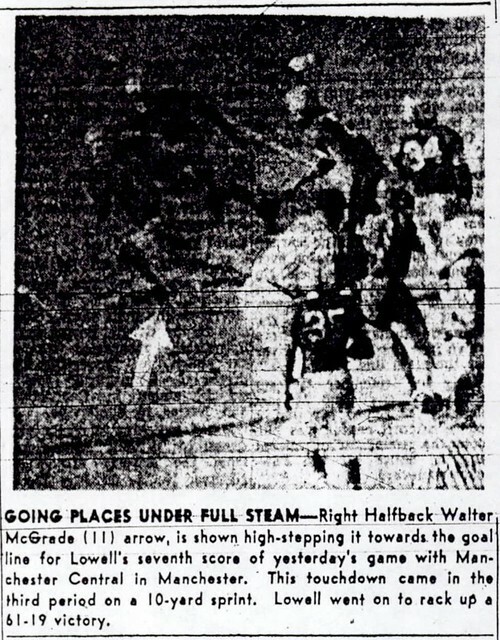 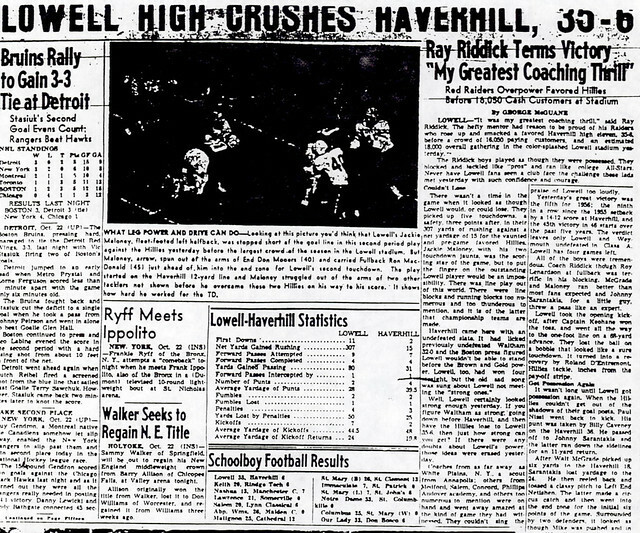 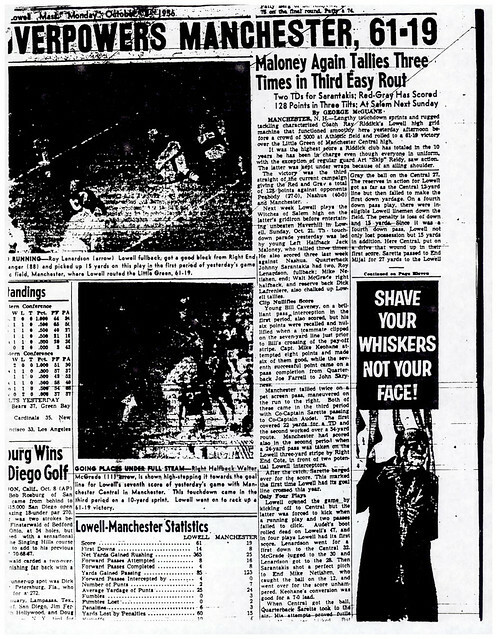 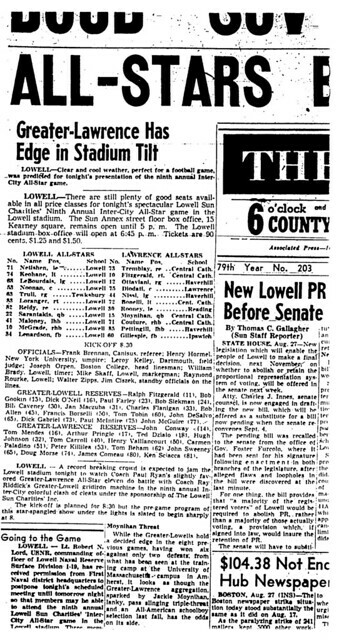 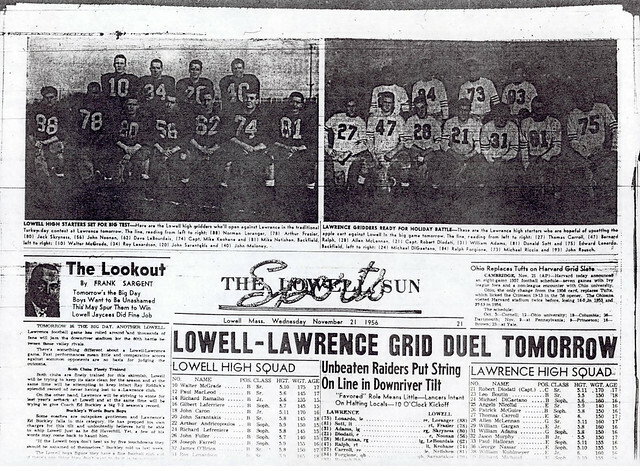 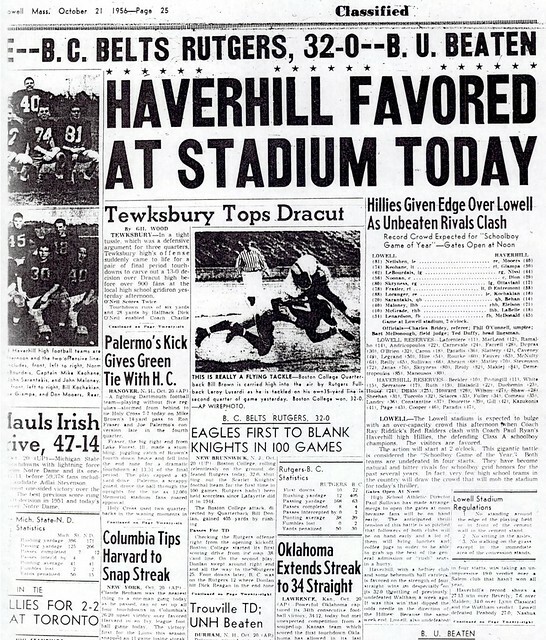 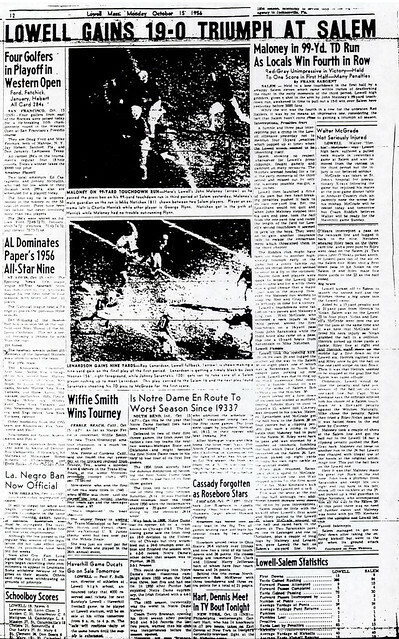 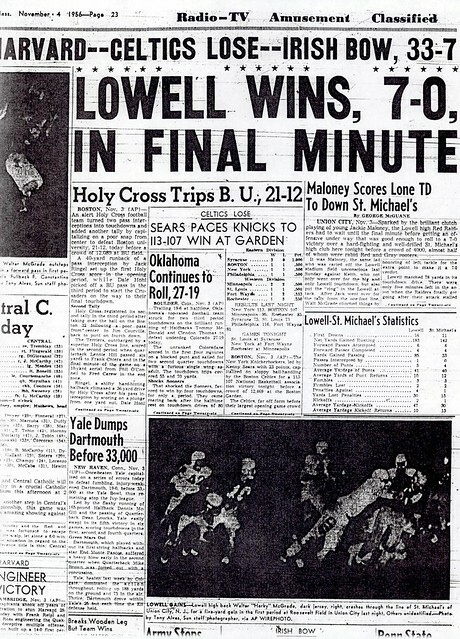 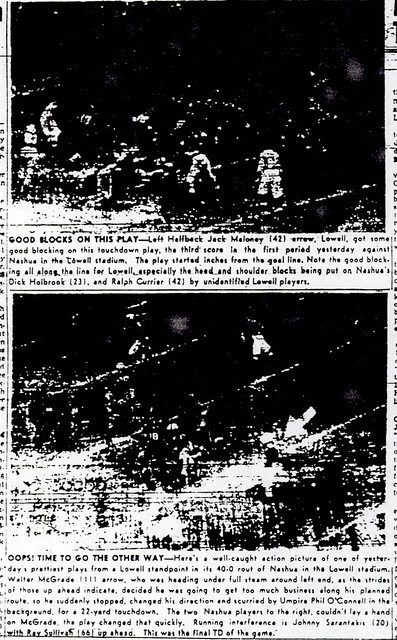 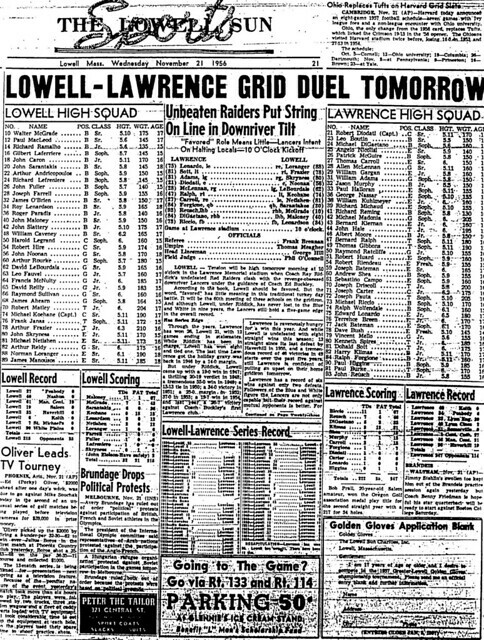 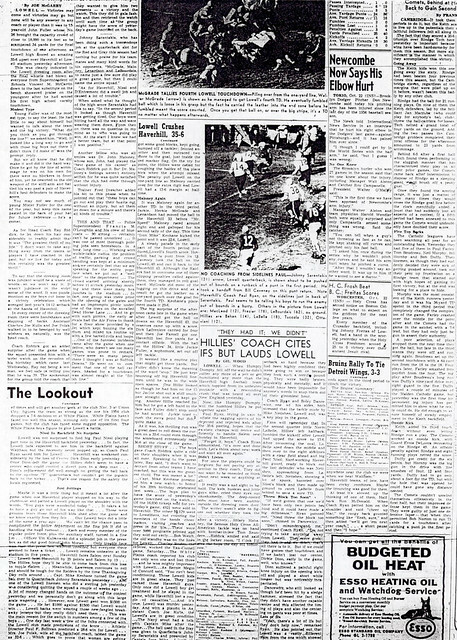 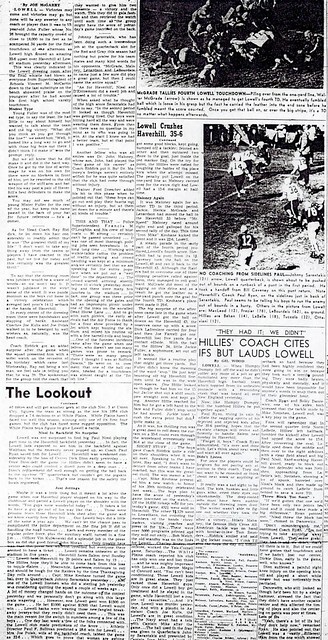 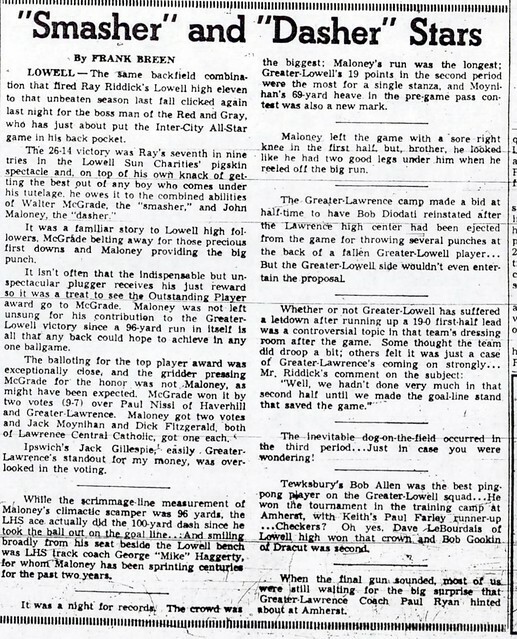 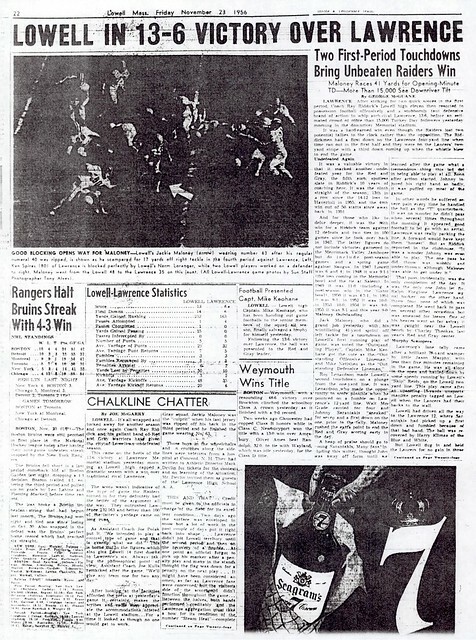 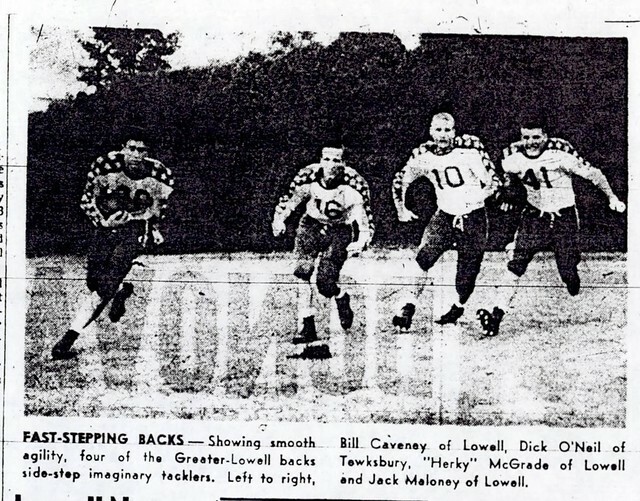 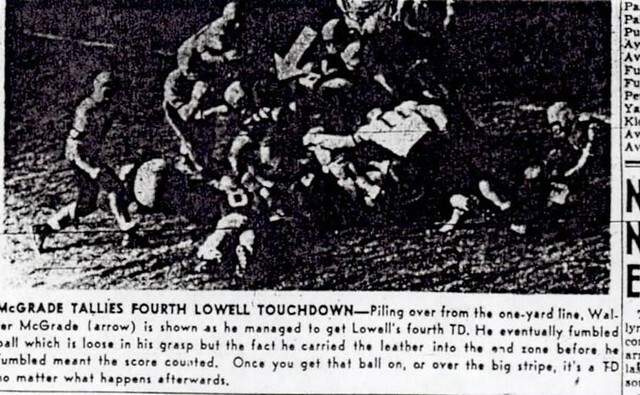 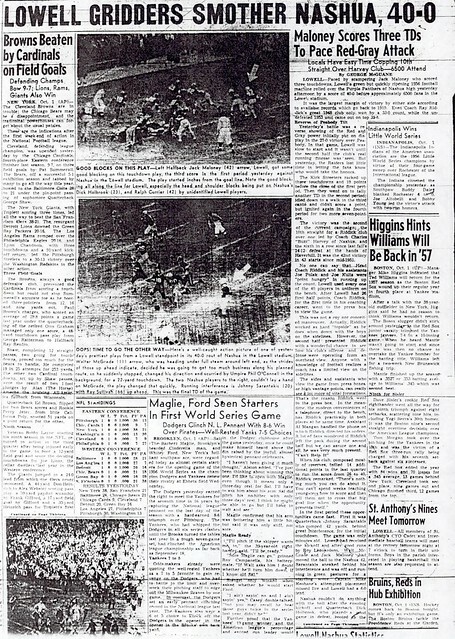 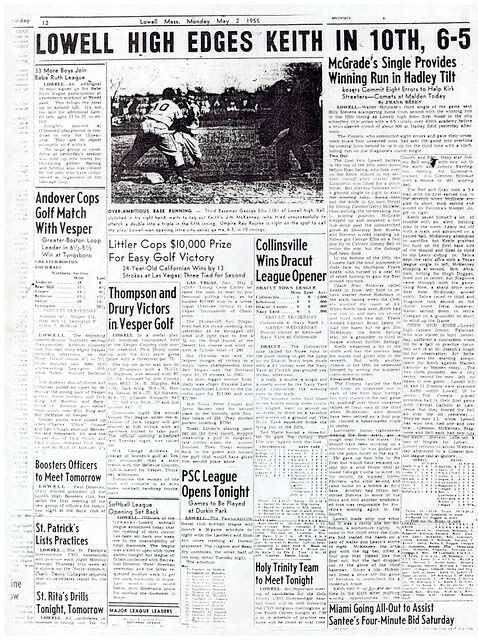 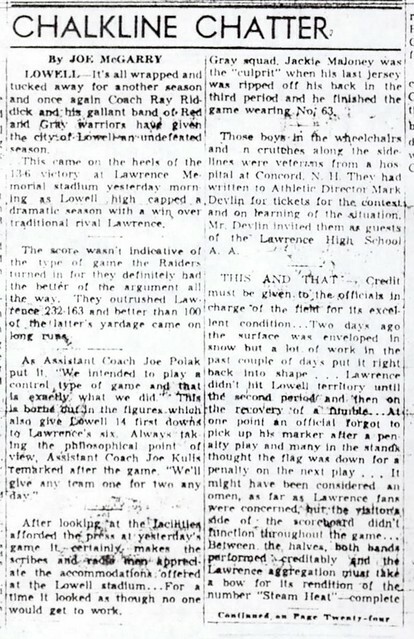 He climaxed his high school career by serving as a Co-Captain of the Greater Lowell All-Stars and winning game MVP honors in the annual Lowell Sun Charities All-Star Game in 1957. 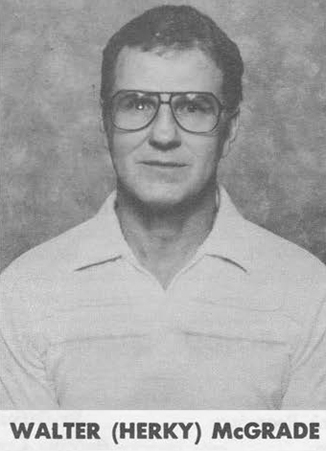 A rare four-year varsity baseball player, Herky was a three-year starter (Outfield, Catcher) for Coach Stoklosa. He captained a successful 15–7 team during his senior year and won team MVP honors. 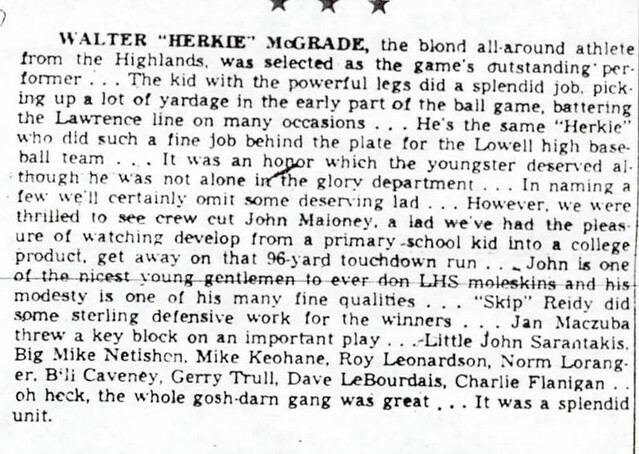 Herky compiled a stellar .340 career batting average. 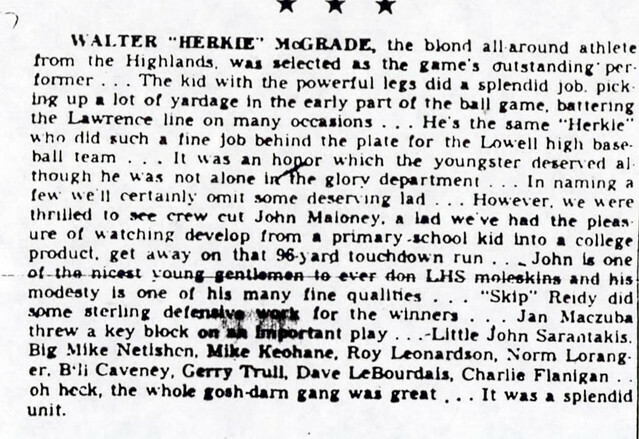 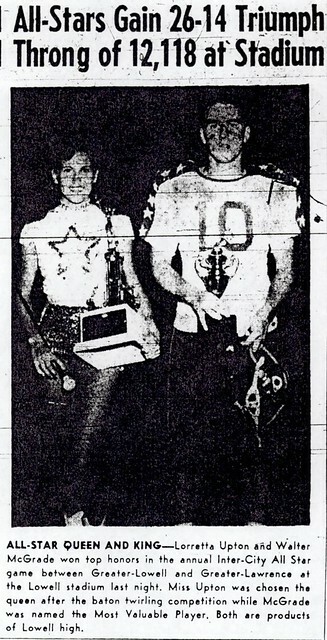 After high school, Herky attended the University of Georgia, where he was a freshman teammate of Quarterback Fran Tarkenton. 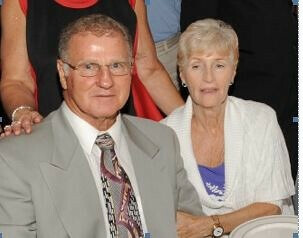 DRACUT — Walter F. “Herky” McGrade, age 74, passed away on Friday, April 11, 2014, at Merrimack Valley Hospice House in Haverhill, after a short illness.He was the beloved husband of Rosaleen McGrade. 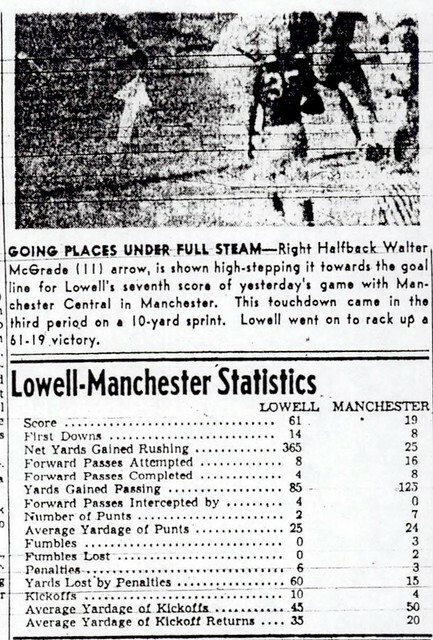 He was born in Lowell on September 12, 1939, a son of Blanche (Demers) McGrade of Dracut and the late Walter McGrade. 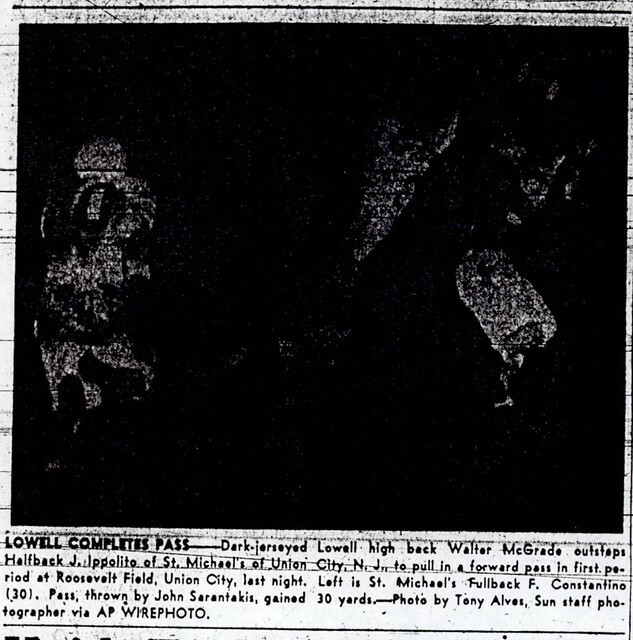 Herky was a longtime resident of Dracut and was formerly of Lowell. 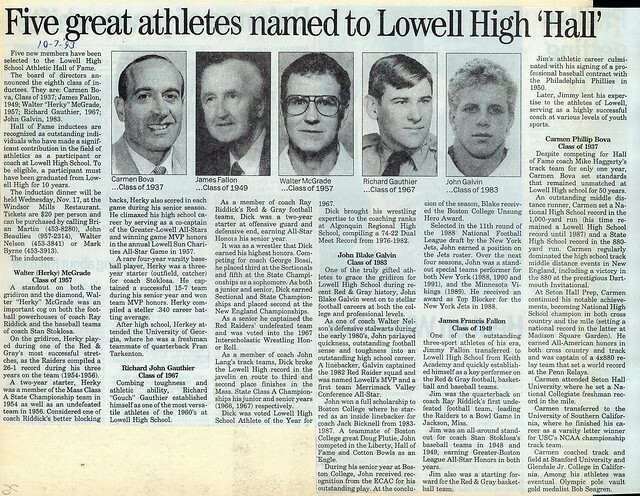 He received his education through Lowell schools, having graduated from Lowell High School where he was inducted into the Athletic Hall of Fame. 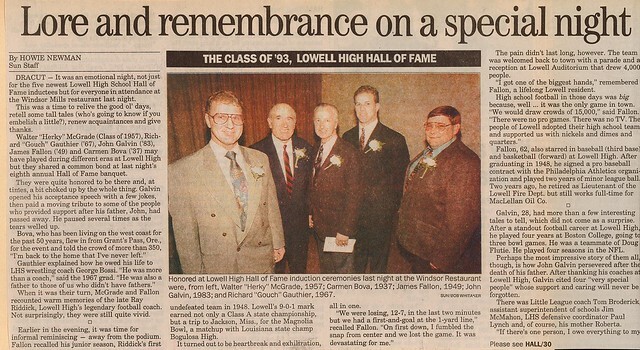 He was an avid sports fan and was the captain of the baseball team at the Stoklosa Middle School.Prior to his retirement, Herky was employed with the city of Lowell as a custodian for 10 years, and also worked at Courier Citizen in Lowell for 20 years. 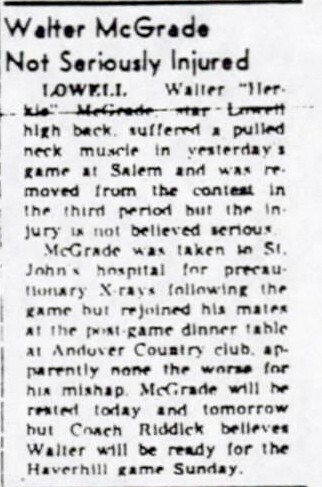 He was a friend of Bill W.
Besides his wife, Rosaleen, and his mother, Blanche, he is survived by two daughters, Sandra Kulis and her husband, David of Lowell, Susan Faticanti and her companion, Mark Sousa of Salem, NH; a son, William McGrade of Derry, NH; two step children, Donny Wallace and Sally of Gloucester, and Dan and Kathy Monsen of Ayer; a sister, Frances Long and her husband, Warren of Dracut; a good friend, David LeBourdais of Lowell; his former wife, Carol Krawkoski of Derry, NH; 11 grandchildren, David Faticanti, David and Andrew Kulis, Megan, Jack, Lucy, Shannon and Ryan McGrade and John and Anna Monsen and Luke Wallace; one great-grandchild, Nadia Faticanti; also many nieces and nephews.He was the brother of the late Paul McGrade.